A 5-door version to extend the 340 programme was introduced in the autumn of 1979, as the 1980 model year. The trend towards cars with rear doors was now gathering speed. 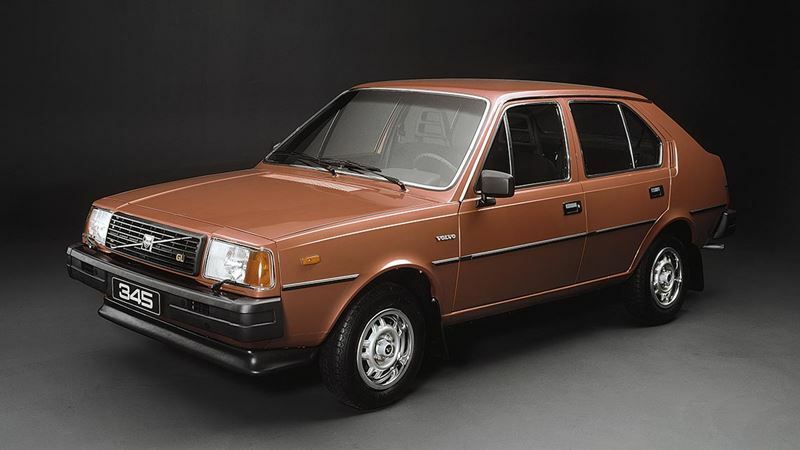 Yet another version based on the Volvo 345 was launched in August 1983 for the 1984 model year. This time it was a 4-door saloon. This version also had a longer rear overhang, which increased its overall length to 441 cm/173.6". 4-cylinder, in-line OHV, 1,397 cc, 4-cylinder, in-line OHC, 1,986 cc, 4-cylinder, in-line, 1,721 cc or 4-cylinder, in-line OHC 1,596 cc diesel. Automatic, continuously variable CVT, 4-speed manual, 5-speed manual. Length 421 cm (165.7 in), width 166 cm (65.35 in), height 139 cm (54.7 in), wheelbase 240 cm (94.48 in), unladen weight 985 kg (2171.6 lb), gross weight limit 1440 kg (3174.7 lb).